Yanga TV, the UK channel that targets the African diaspora, has begun streaming its programmes via its online platform. Shows now available online include Noni, The Business, Fizzi, Exchange with Mark Eddo, Green Screen Greats, Turn Up, Number 6, One to One and Journalists’ Hangout UK. Noni, a talkshow aimed at African women, is hosted by Juliana Olayinka, while children’s show Fizzi appeals to both kids and their parents, bringing to life nursery rhymes and lively shows in indigenous languages. 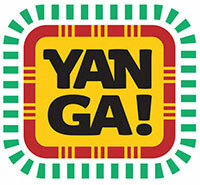 Other examples of shows that Yanga airs include Colombian telenovela La Esclava Blanca, music series Turn Up and lifestyle show Green Screen Greats. All these shows can be viewed in the UK on Sky Channel 453 and Freesat 171 at different times. The channel, which launched earlier this year, is run by Africa MediaWorks MD Lindsey Oliver, the former director of networks at CNBC Europe and founding director of Al Jazeera International.